Lakeside Estates is The Robert Lucke Group's newest custom home development in Symmes Township, Ohio. Choose from an exclusive collection of private and wooded lots that begin at 1 full acre. The community's tranquil lake and path are the perfect complement to these secluded estates. Discover more about Lakeside Estates below. We invite you to explore some of our pre-drawn plans or schedule an appointment to begin customizing your perfect home today. 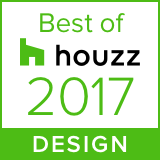 The following home designs have been selected as appropriate examples for this community based on square footage, style, or other attributes. They are presented merely as "inspiration" for floor plan design. You are more than welcome to select from these plans, customize one of these plans, or design your home completely from scratch with our Architectural Designer. For even more choices, explore any of our award-winning home designs or schedule an appointment to begin your custom design below. 2bd – 2.5ba / 3394–3446 sqft. 5bd – 4ba / 5241–7137 sqft. Did you know that a Robert Lucke home can be built anywhere? That's right, Robert Lucke Group can build on any lot, whether it's Lucke-owned or not, whether it's in a community or not, and we can help you locate an appropriate lot to meet your needs.